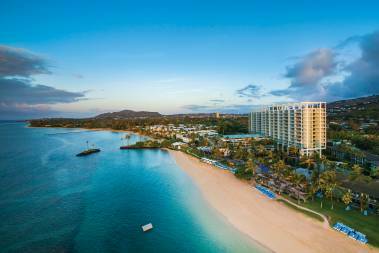 I was born and raised on the island of Oahu and before starting my career in the real estate business I was a sales executive in the hotel/hospitality industry for ten years. My natural "hospitality" nature, or "Mea Hookipa", the desire to serve my clients well, helps me to earn your highest trust----- whether you're a buyer or seller that is local, US mainland or international. My versatility in working with clients from different backgrounds helps me to successfully guide first time home buyers, Military professionals, or luxury clients. I am humbled and honored to have been recognized throughout my career for outstanding service, including being named to Honolulu Magazine's "Best in Real Estate", and the Honolulu Board of Realtors Aloha Aina Award nominee for 2014, 2015, 2016, 2017, 2018. "I had the pleasure of working with Rose on a recent search for a new home in Hawaii. Rose was incredibly professional and took the time to truly understand our needs and provide recommendations based on our specific criteria. She was very detail oriented and always went above and beyond to ensure we were delighted with every aspect of our experience. From picking me up for inspections to providing a bottle of wine to welcome us to our new home...she delivered top notch service during the entire process. She is very knowledgeable of a variety of local communities and even specific buildings/units and provided valuable insight to help us choose the best place based on our requirements and budget. She is a true professional and I would recommend her to anyone that is searching for a new home in Hawaii"
"Rose has been incredible, once again, as my agent. She has represented me previously as a buyer, and this time as a seller, really tailoring to the situation individually. Nothing is ever too much, Rose is available all the time, during all hours. The best part is that she anticipates the clients need, helping, assisting and arranging when and if needed, well in advance. Rose arranged for paperwork, contractors, meetings etc etc, all with a smile and genuine heart. As I was not even in the country during the transaction, Rose went truly above and beyond her call of duty. I have been extremely satisfied with her work and will endorse her work, use her again and again as my agent and forever treasure her friendship!" "Rose Medina Kemna is highly professional in her field, very humble and patient in showing homes with our time especially with our work schedules. 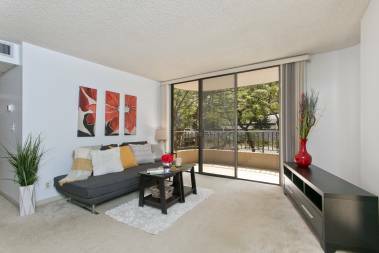 She understands our budget and financial boundaries in helping us to find a nice unit in a good location perfect for our small and young family. 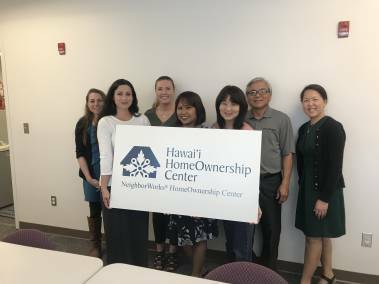 We are first time home buyers in Oahu, and we did not have an idea where to start with our house hunting and with what's going on with the real estate market. Fortunately, Rose is very knowledgeable and didn't hesitate to share them with us especially on this very competitive real estate market . She helped us from the day one to the closing process. Rose has great negotiation skills to work with the sellers and appraisers not only for our financial benefits but also for an easy buying and fast closing process. Our family really appreciate her patience to answer our queries anytime of the day. We highly recommend Rose to any potential home buyers....big or small! She is one of a kind realtor in Oahu!" "My agent Rose was an exceptional real estate agent by performing the duties of a real estate agent to its pinnacle and going beyond the norm. For example: she came down to Wahiawa to meet up with me even though she lived in Waikiki at a convenient time for me, she quickly understood what I was looking for and provided numerous selections of real estate, she was timely and on point to all home walk through appointments and did everything I asked for, she understood the neighborhood I was looking at in depth and provided a plethora of knowledge on the housing in the neighborhood. I would definitely recommend her for the Realtor Award for her outstanding dedication and integrity." From the time we first met Rose, she made us feel at ease with the process of purchasing a home. We had been on a journey for a while with no success, but Rose let us know that she will be our partner in this journey and it will be successful. She listened to all my requests, spent a lot of time responding to my emails with lots of questions about areas, property types, the process of purchasing in Hawaii and more. We visited many properties selected by her and she was honest about each one. Rose never pushed any of the available properties but rather gave us the pros and cons for each one. Interestingly the one we purchased in the end was one I was not initially interested in viewing, but she explained why she thought I should take a look, based on my discussions with her she felt that it could be a match and it turned out to be the one for us. She made the closing process the most simple I have been through. She worked directly with my mortgage broker and helped me understand every step of the process. After the closing she continued to support us to make sure everything was setup for our move in and we had what we needed.